Plastic surgery is a medical specialty concerned with the correction or restoration of form and function of body parts. Plastic surgery is focused on repairing, reconstructing or replacing abnormalities in the functioning and form of the skin, muscles, skeletal system and many other areas of the body. As such a plastic surgeon, may perform two types of surgery: cosmetic surgery to improve appearance and reconstructive surgery to correct appearance after an injury or to improve bodily function. Plastic surgeons will operate on all parts of the body, from head to toe. The field of plastic surgery is so broad, that subspecialties exist within the specialty of plastic surgery, including cranio-maxillofacial surgery, microvascular reconstruction surgery, hand surgery, burn surgery and cosmetic surgery, just to name a few. A plastic surgeon can choose to specialize in one of these areas, or practice the entire scope of plastic surgery. While Cranio-maxillofacial is surgery to treat diseases, injuries and defects in the head, neck, face, jaws and the hard and soft tissues of the oral (mouth) and maxillofacial (jaws and face) region, Microvascular surgery is surgical reconstruction of jaws and mouth, throat etc which involves moving a composite piece of tissue from another part of the body to the head and neck. The specialty of plastic surgery is applicable to a wide range of conditions (including cancer and trauma) and a wide range of anatomical sites (from scalp to the toes). Some people in need of plastic surgery are effected right from birth, such as cleft lips and cleft palates. Car crashes, fires, and other terrible accidents can leave people wounded and in need of plastic and reconstructive surgery. By opting for this surgical procedure, such people are able to reconstruct their body parts. Plastic surgeons administer cosmetic procedures, such as face lifts, they may treat the bones of the face and skull; repair cleft lips or cleft palates; reattach severed fingers, toes or limbs; and treat congenital problems. Like any other physician, plastic surgeon should be knowledgeable in the field of science, biology, anatomy and physiology. Plastic surgeons too spend many years in training, beginning with five and half years in medical college for MBBS. After completing MBBS, one must go for MS General Surgery. Candidates with MBBS degree who have registered permanently with Medical Council of India or any other State Medical Councils are eligible for this MS course. After MS they must further specialise by doing M.Ch Plastic Surgery which is of 3 years duration. Admission to M.Ch is based on merit in the entrance examination. A plastic surgeon should have above average intelligence and an aptitude for science. Good vision is another important characteristic for a plastic surgeon. They must be responsible and sympathetic, able to take timely decisions. Attention to detail and patience is paramount for surgeons, as mistakes can be deadly in an operating room. Plastic surgeons must have good communication skills to explain complex medical terminology and procedures to patients and to provide emotional support. The increasing number of accidents and awareness about importance of appearance has resulted in a boom in the demand for plastic surgeons. Job openings will also stem from the need to replace plastic surgeons that retire, transfer, or leave the field for other reasons. Plastic surgeons shape and mould regions of the body like the ears, face, trunk, hands and other extremities. 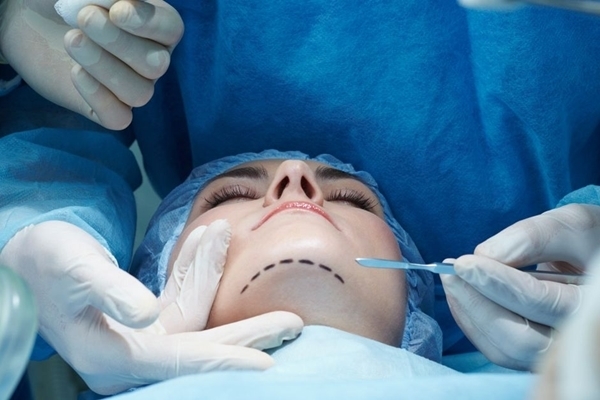 Plastic surgery has been prominent in the development of innovative techniques such as microvascular and cranio-maxillofacial surgery, liposuction, and tissue transfer. One can work as a surgeon in any super-specialty hospital or set up own clinic and earn a lot in India as well as abroad. Plastic Surgeons work in collaboration with other surgeons and specialists such as dermatologists, otolaryngologists, pediatric surgeons, orthopedic surgeons, urologists etc depending on the type of surgery that takes place. Some can opt academics as a career choice and take up faculty positions in medical colleges. Yet another group can opt for research and contribute to latest developments in the field. Plastic surgery is a lucrative specialty in medicine and those who practice it earn much better compared to general surgeons. Some of them opt to be paid on a per case basis, meaning they get paid every time they perform a cosmetic surgery, and the amount they receive is also significant. Salary ranges from Rs. 1,00,000 to Rs. 1,50,000 per month, depending upon the location, specialization, expertise and experience of the Plastic Surgeon. However, in government sector scale is less compared to private. Besides they are also entitled to various perks and allowances such as free accommodation, medical coverage, paid vacation, sick days, paid holidays and post retirement pension.